Tamworth Castle offers an extensive award-winning programme for school parties. To find out more about our workshops for schools, please hover on the tab above to access the different workshops for all the different educational age groups. You can also book or make an enquiry using our online form. We receive approximately 10,000 school children a year, ranging from Foundation to Key Stage Four. The award-winning schools programme delivers a wide range of cross-curriculum taught workshops. The schools page provides details on all the different workshops with prices, details of facilities and the booking process. 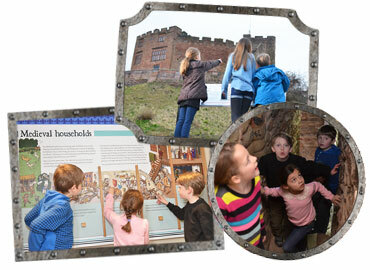 Tamworth Castle provides both off site talks to groups and onsite tours and private hire events. For more details please hover your mouse on the schools tab above and access the dropdown menu for the different tours and age groups available.